In my opinion, the most useless advice that often gets passed along by content marketing “experts” is this: “Create awesome content! !“As if using exaggerated adjectives and punctuation could help anyone figure out how to do this. Yoko Ono once said, “Controversy is part of the nature of art and creativity.” Can you imagine anything more antithetical to the term “corporate culture” than controversy? And yet, without a willingness to take risks, it is almost impossible to produce genuinely creative business content: When you try to please everyone, you wind up diluting creative ideas to the point where you’re publishing little more than the content equivalent of lukewarm bathwater — it serves the purpose, but no one is going to look forward to immersing themselves in it. In terms of process, specifically, establishing a culture open to creativity may entail taking people out of the processes. To move from bath metaphors to kitchen metaphors, most of us realize too many editors spoil the creative broth. But it’s not just the editing process that suffers from over-involvement. If too many people are pitching ideas, the usual result is compromise, sometimes accompanied by argument and resentment — both of which, of course, do little to foster a supportive creative atmosphere. Get out of the office: Certain atmospheres — for example, a coffee house, a botanical garden, or even a park bench — can be particularly helpful for clearing your mental cobwebs and stirring creative energy. Keep a notebook within reach at all times: Breakthrough ideas come at any time of day or night, and if you don’t write them down immediately, chances are good you’ll forget them by the time you need them. Don’t expect to be creative on a set schedule: A good creative process enables the writing team to meet whenever and wherever inspiration strikes —not just when there’s a deadline looming. Remember these words, from John Cleese: “Creativity is not a talent. It is a way of operating.” If you want to truly understand the creative content marketing process in a corporate environment, I urge you to watch this 38-minute video of John Cleese talking about creativity. It’s entertaining, enlightening — and provides a lifetime supply of light bulb jokes. A common problem is assigning creative responsibility by default. This is perhaps natural because “creative content” has never been a major priority for many firms, so they have no processes in place to support it. In other cases, it’s the PR team that drives creative, but that can be limiting as well in that SEO considerations may be overlooked entirely, and because PR experience doesn’t always include the multiple content formats (e.g., infographics, email marketing campaigns, etc.) that are at the disposal of the content marketer. This of course leads us to wonder, what is the right creative team? My view: A creative team should have nothing to do with rank, department, or job responsibility. Creativity is all about chemistry, and it’s just as likely for a shipping clerk and an engineer to crank out creative ideas as two marketing professionals — provided they are the right two people. What topics are in demand among our target audiences? Are there new ways we can approach old topics? What great ideas can we adapt to our industry’s needs? What terrible ideas should we avoid or discontinue? How can we create interest and action without even mentioning (or barely mentioning) our products and services? How can we expose more people — and new people — to our content? The key here is to set up a structure that enables content marketers to drive content creation. And given the fact that effective creative teams can come from anywhere in the organization, the lead idea person should continually be looking for ways to mix employees together, so as to identify creative chemistries. This can be accomplished though after-hours social get-togethers or interdepartmental group meetings. When a promising creative team appears to be taking shape, those people can then start working together on specific assignments. How would you describe this [product or service] to someone who knew nothing about it? What’s wrong with our marketing? How would you improve it? Why would somebody want to buy our [product or service]? I’m struggling with this assignment. How would you approach it? If the ensuing conversation is brimming with ideas, you may have the makings of a strong creative team. In the SEO and PR worlds, there’s always a push for more: More content, more links, more publicity, more everything. However, as Scott Adams, creator of Dilbert, once said, “Creativity is allowing yourself to make mistakes. Art is knowing which ones to keep.” For every 10 pieces of content on a particular topic, eight or nine probably merit the delete button — but an SEO or PR pro is apt to hit “publish” every time. Remind people that, just as every new product idea doesn’t come to market, and every new streamlining idea isn’t acted on, every new content idea doesn’t see publication. If every idea became reality, chaos would reign; selectivity is a strength, not a rejection. Stress the necessity of maintaining a strong brand: One content step forward should never result in two branding steps backward. Point out that unpublished content may live to fight another day. Anything that’s been created stays on the radar, perhaps to be repurposed, reworked, or published as it is when the time is right. A firm that emphasizes creativity not only praises its content marketing team for what it publishes, it will also praise the team for content it rejects. After all, if a team is taking creative risks, it’s going to make mistakes. An efficient content marketing team will minimize the damage by recognizing flawed projects early on, but, regardless of timing, it will not publish content that falls below standards simply to justify whatever expense has already gone into it. Initiating a customer roundtable discussion session that meets periodically to critique past content and brainstorm new topics. Insert links to surveys on various content pieces to elicit immediate feedback on the value they provide and how creatively they provide it. Email surveys to the house list that ask for content suggestions and/or evaluations and opinions of previous content. Ask your customers to share their preferred content formats — video, text, etc. Mine customer inquiries and FAQs for additional topic ideas that directly speak to their informational needs and interests. In terms of company culture, emphasizing profitable creativity will make it easier to keep unnecessary cooks out of the creative kitchen. When personnel are confident of a profitable focus, they are more apt to loosen their grip. Emphasizing profitable creativity will help transfer creative responsibility away from teams that have been handling it by default. SEOs and, to some extent, public relations practitioners don’t always see themselves as creative contributors. These team members may actually be happy to be relieved of creative responsibilities so that they can focus on what they are experts in. 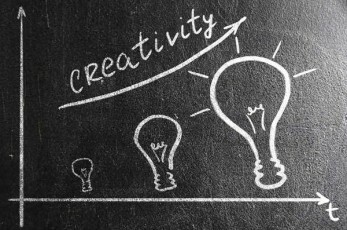 Profitable creativity makes for a great marching order for the entire content marketing team. Please feel free to add some of your own ideas for fostering more creative environments and processes in the comments below — we can never have too many ideas when it comes to driving creativity!